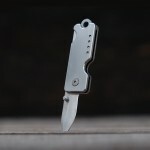 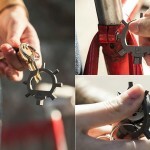 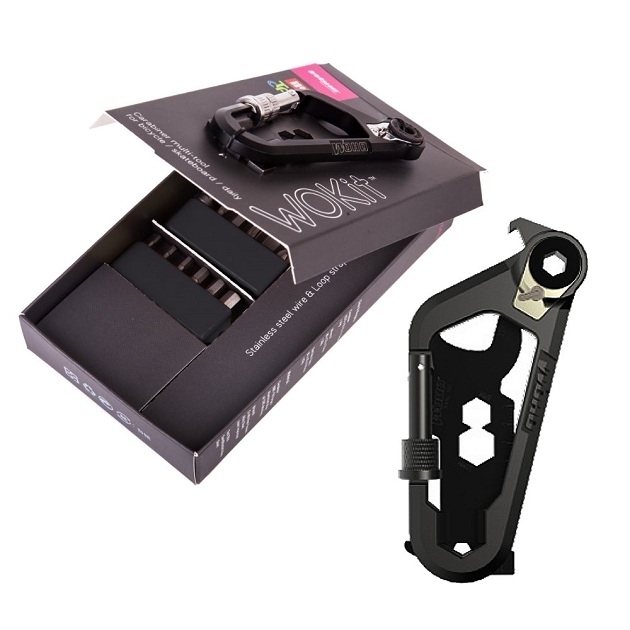 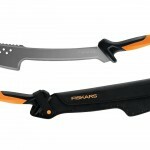 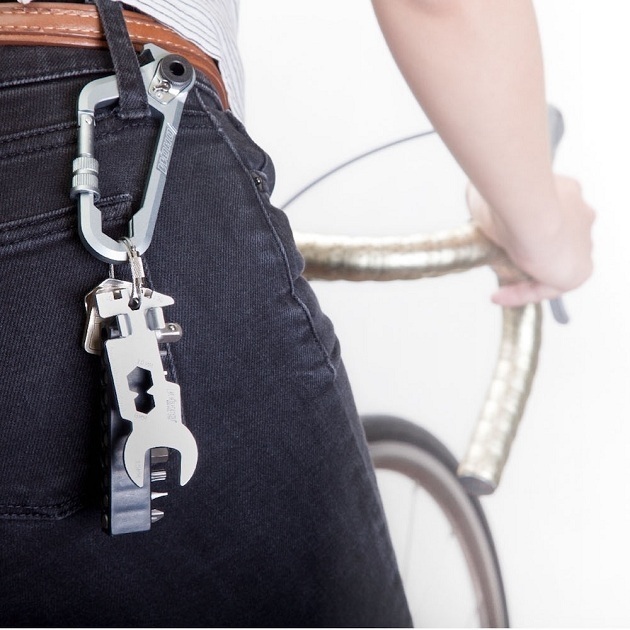 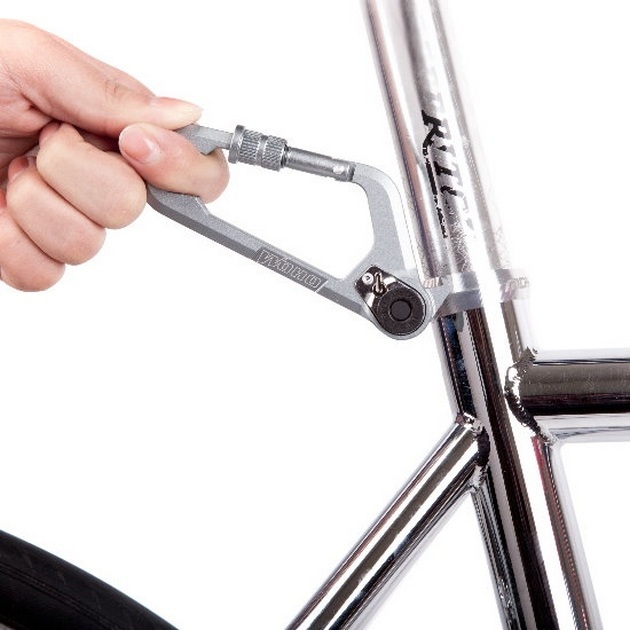 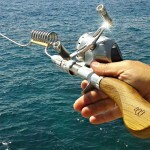 WOHO WOKit is multi-tool specially designed to meet the needs of bicycle enthusiasts. 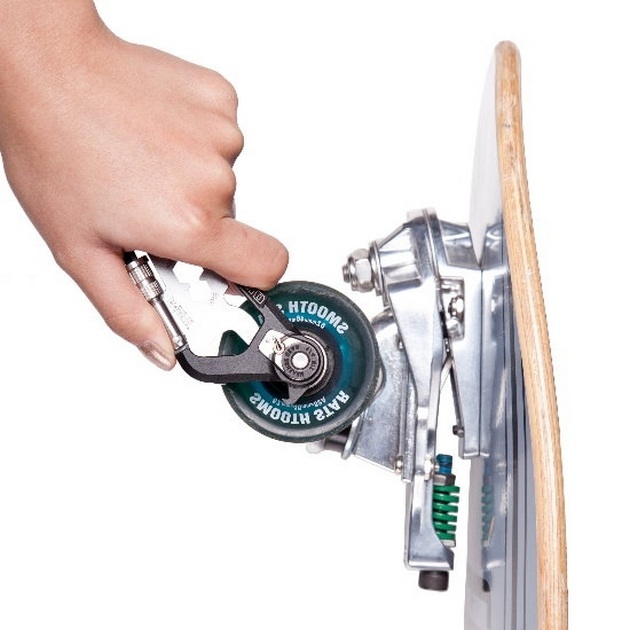 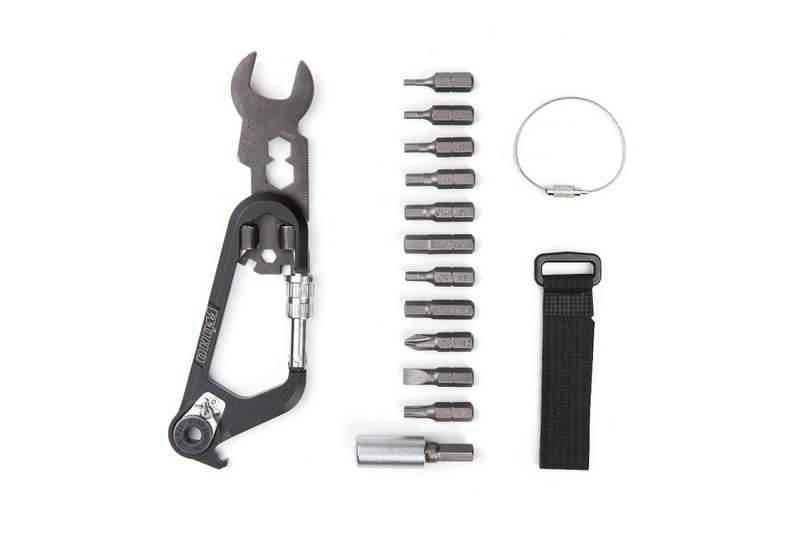 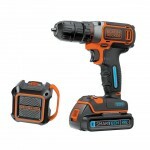 The set features a box-wrench, open-end wrench and a spoke wrench and a set of specially configured “directional ratchet” can be used with various types of hex tool heads (8 included), allowing you solve wide range of repair effortlessly. 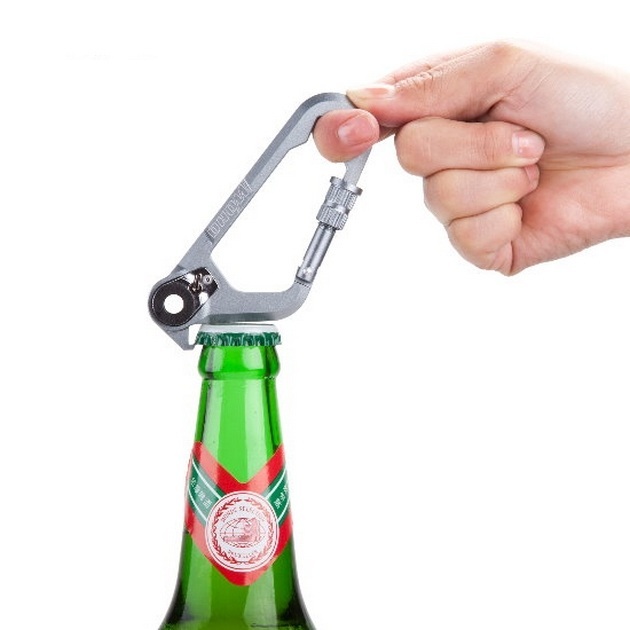 Carabiner apart from its basic function also allows opening bottles. 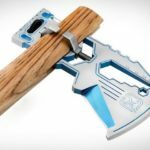 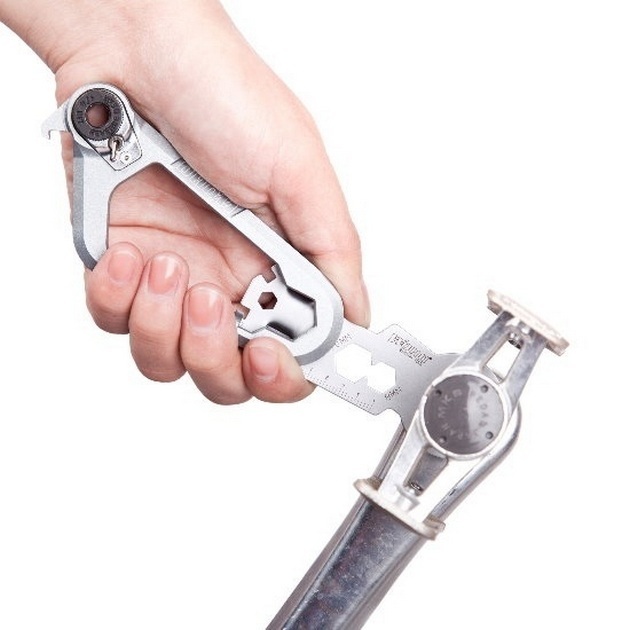 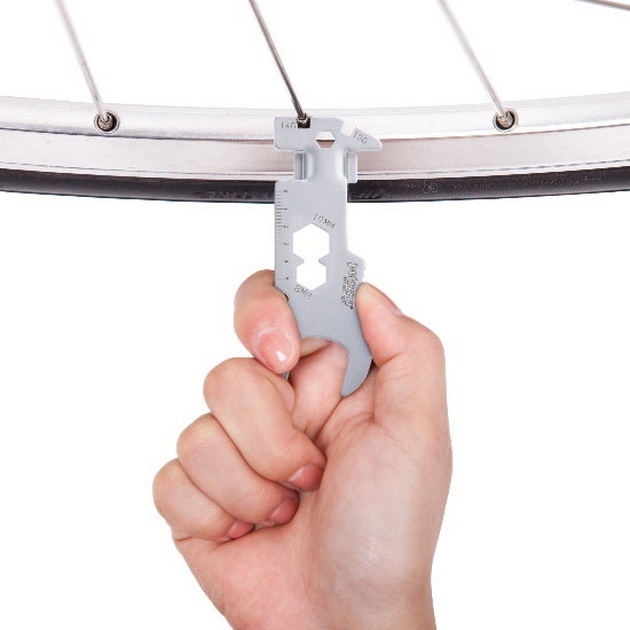 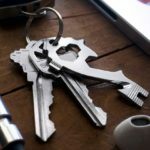 Whether you’re on the road fixing bicycle or dealing with household item The WOHO WOKit Carabiner ($79) multi-tool can be a handy time saver.